Microsoft does a few things right. One of them is the Windows Live Essentials free software package. 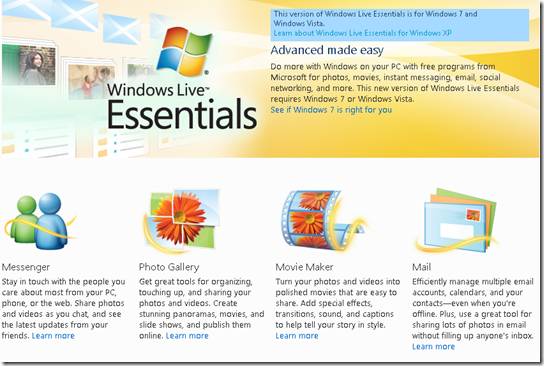 Windows Live Essentials is a bundle of free software and contains a nice array of quality software for Windows. Did I say it’s free? I download this package just for Windows Live Writer – a free blogging tool that blows any paid competition out of the water. There are also other items that may be of interest to you. Photo Gallery – photo management app with sharing support for Flickr, Facebook, SkyDrive, etc. If you are on Windows XP, go here to get the XP version of the download. Tip: use the custom install option and uncheck the ‘Bing Bar’. I hate browser toolbars.